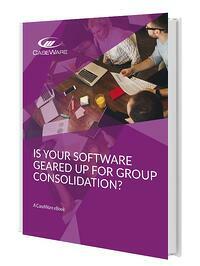 Download: Is Your Software Geared up for Group Consolidation? Is Your Software Geared up for Group Consolidations? Recent reports indicate that the impending exit of the UK from the European Union is leading more overseas firms to set up subsidiaries in the UK. This in turn means more corporate accountants are finding they are required to become involved in group consolidation. Our eBook discusses the current challenges with Group Consolidation and looks into the appropriate tools needed to provide accountants with the solutions to the problems they may face. To access this information, download our FREE eBook using the adjacent form.